For everyone with green fingers and those without. 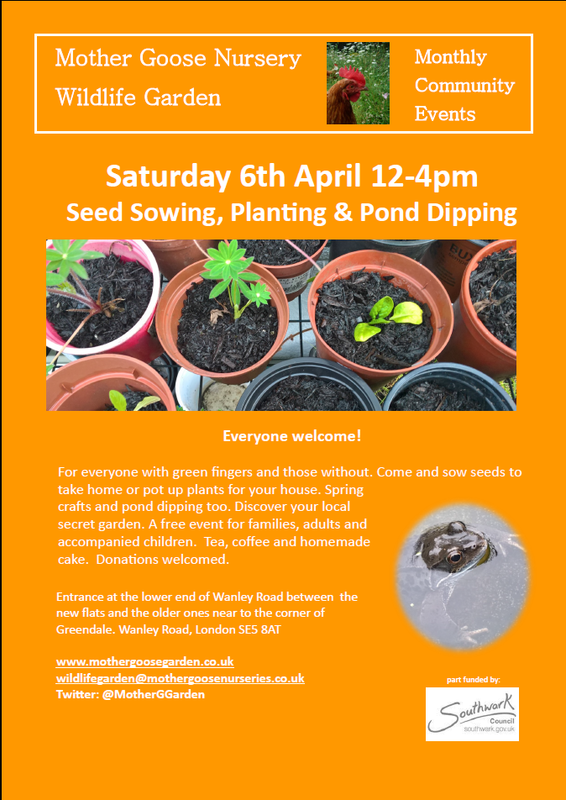 Come and sow seeds to take home or pot up plants for your house. Spring crafts and pond dipping too. Discover your local secret garden. A free event for families, adults and accompanied children. Tea, coffee and homemade cake. Donations welcomed.